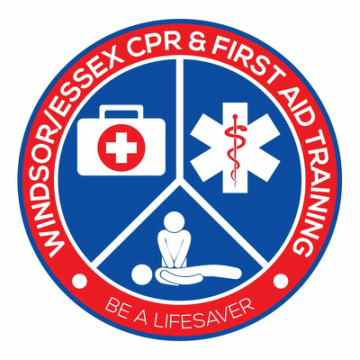 Welcome to Windsor/Essex CPR & First Aid Training! We work towards improving the quality of life by preparing people to make safe choices, prevent injuries, and respond in emergency situations. As of January 1st, 2019, Canadian Red Cross has discontinued CPR-HCP (Health Care Provider) and is offering BLS (Basic Life Support) as the replacement. This change was made to stay in line with the needs of our professional responders (Nurses/Paramedics/Fire Fighters). CPR Level BLS is equivalent to CPR-HCP. The Canadian Red Cross is a leading provider of CPR courses, with more than half a century of classes taught.﻿ Red Cross first aid certifications are valid for 3 years. Conveniently located off the EC. Row Expressway, with bus routes. Regular course dates, weekly and weekends, for your scheduling convenience. ​​Take a Red Cross First Aid and CPR class today! It's the law! Workplace Safety and Insurance Board (WSIB) Regulation 1101 requires that, "all employers must ensure that first aid boxes and stations are in the charge of workers who hold valid first aid certificates issued by a training agency recognized by the Board." Red Cross safety training classes are WSIB approved. We offer group discounts and on-site training.